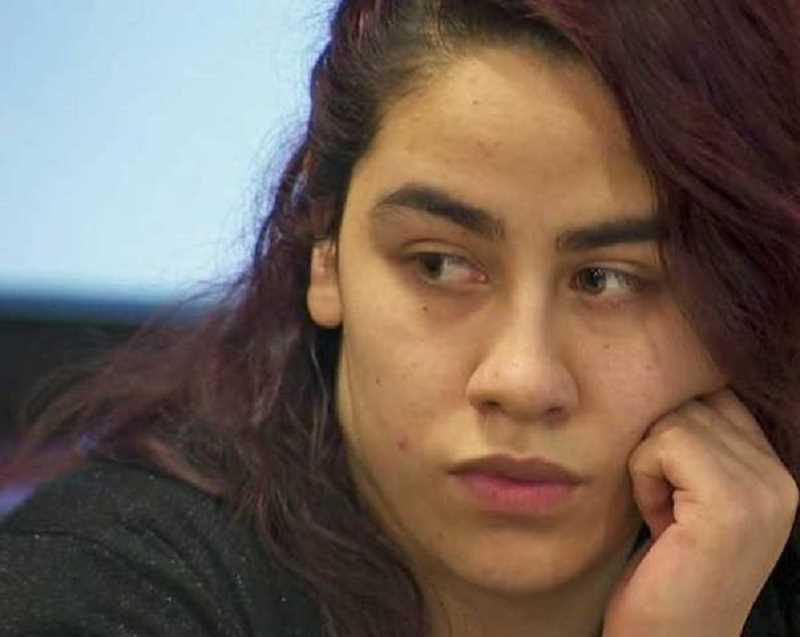 Was Cinthya Garcia-Cisneros trying to escape prosecution or avoid responsibility on October 20, 2013, when she left the scene of a fatal accident in Forest Grove? Or was she simply unaware she'd hit anything more than a log or a pothole? Should she have returned once she learned of the tragedy she'd caused? Those questions are at the heart of the ruling last Wednesday, May 3, from the Oregon Court of Appeals, which overturned Garcia's highly publicized "hit-and-run" conviction of January 2014. Both sides in the case agree Garcia (who does not use Cisneros as her last name) didn't initially realize she'd accidentally driven over two young stepsisters — Anna Dieter-Eckerdt and Abigal Robinson, ages 6 and 11 — who were apparently lying or hiding in a huge leaf pile on Main Street in Forest Grove. Garcia, then 18, was driving home with her boyfriend and her brother in her boyfriend's car after they'd picked up food from Sonic Drive-In in Cornelius. A few blocks from home, her brother urged her to drive through a big pile of fallen leaves for fun. As she did so, the car bumped against something that felt like a log or a pothole and Garcia apologized to her boyfriend for possibly hurting the car, although when they got home, they checked and couldn't see any damage. A few minutes later, when Garcia's brother started biking off to visit his girlfriend, he came upon the sisters' father, screaming for help by the leaf pile, and learned what had happened. The brother biked home and told Garcia, who did not believe him at first, but then "became hysterical," according to the appeals court's narrative, and "started to cry and hyperventilate." The three teens examined the car by flashlight but did not see any signs of an accident. A neighbor who overheard Garcia crying tipped off the police, who questioned her the next day, when she eventually admitted her involvement after initially denying it. The trial took place three months later in front of Washington County Circuit Court Judge Rick Knapp. A jury found Garcia guilty of two counts of "failure to perform the duties of a driver toward injured persons," a Class B felony. The intent behind the law creating that crime "is to penalize a driver who attempts to escape his financial responsibility for damage or attempts to escape criminal or civil prosecution by fleeing the scene of an accident without giving the required information to the other party," wrote Judge James C. Egan on behalf of the appeals court. Defense attorney Ethan Levi says he requested three times — during pre-trial motions, after the state presented its case, and again after the jury pronounced its verdict — that Knapp dismiss the case or aquit Garcia because she didn't realize she had struck or hurt anyone and therefore was not trying to escape any responsibility when she drove away from the scene. According to the ruling, the state — represented by Washington County Senior Deputy District Attorney Bracken McKey — acknowledged that the law does not "explicitly" require people to return to the scene of an accident after they drive away if they only later learn they were involved. But the state argued — and Knapp agreed — that "a duty to return to the scene of the accident is implicit in the statute," Egan wrote. The law requires drivers to "[i]mmediately stop the vehicle at the scene of the accident or as close thereto as possible," and the state believes that "as close thereto as possible" implies lawmakers were envisioning a "return to the scene" by a driver such as Garcia, according to the ruling. But the Court of Appeals found those words indicated the opposite — that the required duties are imposed "only on a driver who knew at the time of the accident that he or she was involved in an accident and thus can 'immediately' take action." The type of duties listed also support that interpretation, the ruling states. Rendering assistance and exchanging information, for example, only make sense as required duties if they are performed at the time of the accident. A plain reading of the law shows an "implicit assumption that a driver will know that the driver has been in an accident at the time of the accident. As a result, it does not contain an implicit requirement that a driver must return to the accident scene upon learning of the accident sometime later," Egan wrote. It's possible lawmakers couldn't envision a scenario where drivers wouldn't realize they had struck another person or vehicle. McKey did not return calls from the News-Times asking if the state plans to appeal the case.